The ISEC7 Group (www.isec7.com) is a global provider of mobile business services and software solutions. The company was one of the first movers in mobilising company and business processes. Today, ISEC7 has numerous renowned companies and governmental organisations as committed customers. The company continually invests in the evaluation and development of new technologies. 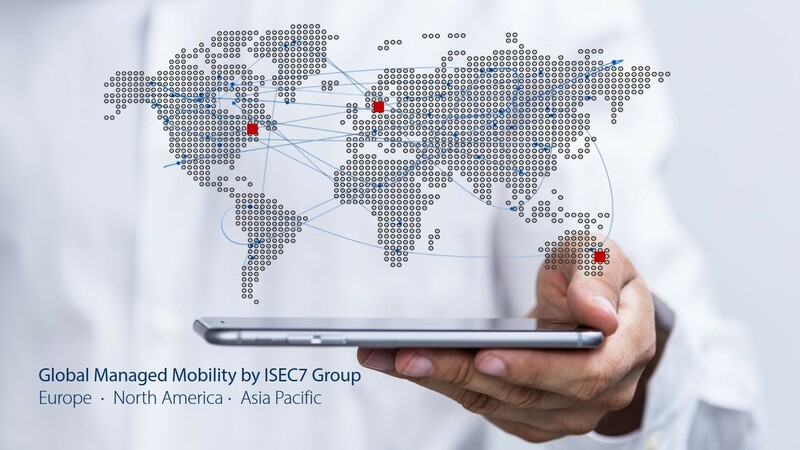 ISEC7 solutions, such as ISEC7 EMM Suite, ISEC7 Mobile Exchange Delegate, ISEC7 Mobility for SAP and ISEC7 Mobility Cloud have proven to be ground-breaking in the mobility sector. The ISEC7 EMM Suite, a comprehensive globally applicable EMM solution, has been presented as the “Most Innovative Enterprise Application”. ISEC7 Mobility for SAP allows access to SAP backend without the need for additional middleware. ISEC7 Mobile Exchange Delegate ensures mobile access to Microsoft Outlook calendar, email and contacts from third parties via BlackBerry or iPhone. ISEC7 Mobility Cloud is an innovative and ground-breaking Managed Service for the provision of customised Enterprise Mobility infrastructures based on EMM solutions like the ISEC7 EMM Suite, BlackBerry Enterprise Service 12, MobileIron, Samsung EMM, Microsoft EMS, Good or Airwatch. ISEC7 was founded in Hamburg/Germany in 2003. The company operates globally with offices in Germany, UK, USA and Australia.